Rodney Crowell has been a prominent artist, songwriter & guitarist for the past 40 years. He has won two Grammy Awards, and he’s been inducted into the Nashville Songwriters Hall of Fame. In 2017, he released his latest album Close Ties (on New West Records), and his song “It Ain’t Over Yet” (featuring Rosanne Cash & John Paul White) was nominated for a Grammy Award, for Best American Roots Song. Crowell’s first major credit as a songwriter was back in 1975, when he wrote the song “Blueberry Wine” for Emmylou Harris’ acclaimed album, Pieces of the Sky. He subsequently toured with Harris as a member of her Hot Band, and he released his first solo album, Ain’t Living Long Like This, in 1977. His third album, titled Rodney Crowell, not only contained his country hit “Stars on the Water,” but it included two of his most famous songs: “Shame on the Moon” and “’Til I Gain Control Again.” “Shame on the Moon” was covered by Bob Seger, and it became the lead single and #2 pop hit from Seger’s multi-platinum album, The Distance. “’Til I Gain Control Again” became a #1 country hit for Crystal Gayle, and it was also recorded by Willie Nelson, Van Morrison, Emmylou Harris and Alison Krauss. Crowell’s two Grammy Awards are for Best Country Song (“After All This Time”) and Best Americana Album (Old Yellow Moon, which was a collaboration with Emmylou Harris). He has also won several Americana Music Honors & Awards, for Song of the Year, Lifetime Achievement Award in Songwriting, Album of the Year and Best Duo/Group. As a songwriter, Crowell has had his songs recorded by Keith Urban, Tim McGraw, Waylon Jennings, the Oak Ridge Boys, Alan Jackson, Lee Ann Womack, Tim McGraw, Johnny Cash, Rosanne Cash, Guy Clark, Jerry Reed, Wynonna Judd, Van Morrison, Bobby Bare, Mac Davis, Tanya Tucker and others. 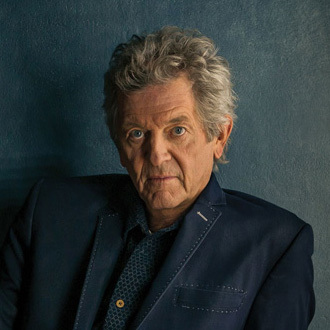 We are pleased to do this new Q&A interview with Rodney Crowell. He tells how he wrote several of his classic songs, and he discusses his latest album, Close Ties. DK: Congratulations on your recent Grammy nomination for your song, “It Ain’t Over Yet.” What inspired you to write this song? Rodney Crowell: You probably know that songwriter Guy Clark (who died in 2016) was a close friend of mine. We were friends for 40 years. I knew that his health was failing him, so I visited him pretty regularly the last seven months of his life. We talked, and I knew that he wasn’t going to recover. So I just started writing songs. Actually, I was also really close with his wife, Susanna Clark (who died in 2012)—she was a painter and a songwriter as well. And I kind of wrote “It Ain’t Over Yet” as a three-way dialogue. Hence, I recorded it with John Paul White (formerly of The Civil Wars) and Rosanne Cash. It was a three-way conversation. features Rosanne Cash and John Paul Young. DK: Can you talk about the making of your latest album, Close Ties? DK: On your song “I’m Tied To Ya,” you sing a duet with Sheryl Crow. How did you decide to bring Sheryl in for this song? Crowell: I started that song at a songwriter retreat almost 20 years ago in Ireland. There was a cultural exchange—Irish songwriters interacting with American songwriters. And on this song I worked with a Michael McGlynn—he has a group called Anuna, and he’s an Irish tenor and classical vocal arranger. For this song, the verses were kind of my sensibility, and the B part of the song that Sheryl wound up singing, was really Michael’s sensibility. But I was never really happy with the lyric that I had for the B section. So when Sheryl and I decided to collaborate on a song, that gave me the fire to really focus on that lyric, because I wanted Sheryl to have something really strong to say. And so 19 years after I started the song, I finished the B section/chorus so that Sheryl could sing it. Thank heavens (laughs). DK: During the past decade, Americana music has become more popular, and you’ve been honored for your work in this genre. But it seems that you’ve always made music that fits this genre, way before it was known as Americana. Crowell: Well, when Emmylou Harris and I won Album of the Year (for Old Yellow Moon) at the Americana Awards, she jokingly said, “Well you know, we’re just doing the same thing we were already doing. They just invented a format for us to fit into” (laughs). It was a joke, but it’s kind of true. DK: Perhaps your most famous song is “Shame on the Moon” which Bob Seger covered and had a big hit. Did Bob Seger record this song because he heard it on your third album (titled Rodney Crowell)? DK: Your third album, Rodney Crowell (in 1981), not only included “Shame on the Moon,” but it had “’Til I Gain Control Again,” which has been covered by many artists. When you were recording this album, did you feel you had some really good songs on it? DK: Of all the songs you’ve written, do you have some personal favorites? Crowell: Well, “’Til I Gain Control Again” stands the test of time very well. And “I Ain’t Living Long Like This” from my first album…I’ve gotta say that’s one of the better country rock ‘n roll songs out there. A lot of people have performed it and recorded it. I also have a particular fondness for a song called “Jewel of the South.” And you know, “It Ain’t Over Yet”…I consider it one of my better pieces of writing. A lot of times, I don’t judge my commercial success—I judge my songs by what I accomplished in the writing…whether or not I captured the song the best it could be. DK: “’Til I Gain Control Again” became a hit for Crystal Gayle, and it’s been recorded by many other artists. Can you talk about how you wrote this song? Crowell: Here’s the story behind “’Til I Gain Control Again.” I was hanging out with some pretty heavy songwriters at the time—Guy Clark, Townes Van Zandt, Mickey Newbury and Steve Earle. We would hang out and have all-night song-swapping sessions, and I just wanted to write something that was good enough, you know, to play. And I remember writing that song, but I have to say it just kind of came to me out of the ether…like I took dictation and I got it down. That song is like a prayer. I thought…Please, let me write something good. And if you break down that song, it really is like a prayer. ‘Til I Gain Control Again—it could be talking to a woman, or it could be talking to some higher power or higher being. That was one of the early songs that I wrote, and since then I’ve gotten a lot better at understanding what I’m doing when they come to me. 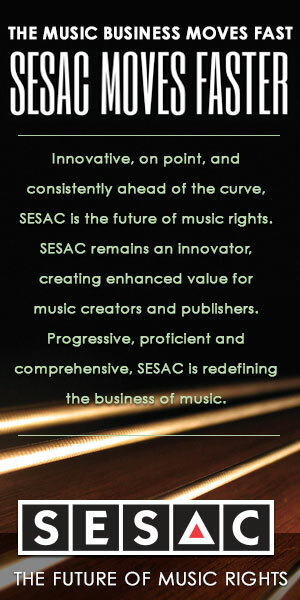 It’s very mystical how songs come…how inspiration works. Sometimes they come from a real pure place. DK: In 1988, your album Diamonds & Dirt had five #1 country hits on it. When you were writing and recording this album, did you feel it would be one of your best? Crowell: For this album, I was just writing songs as I always did. But when I was recording the album, I did have a feeling about it. I thought…this has got some energy. At the time, I was working with (record producer) Tony Brown. I remember saying to him, “Man you know, this thing’s got its own energy—this could be something.” But in some ways, it’s all paint by numbers (laughs), and then you stand back and look at the end result. Sometimes I know, but most of the time I have no idea (laughs). DK: For music fans who want to explore more of your albums, which albums should they check out? Crowell: I would say The Houston Kid, Close Ties, Diamonds & Dirt, and probably my first album, Ain’t Living Long Like This. There’s not a lot of difference between that album and the third album (Rodney Crowell), in terms of where I was at that time. On the third album, there were some really good songs on it, but there are a couple clunkers too (laughs).